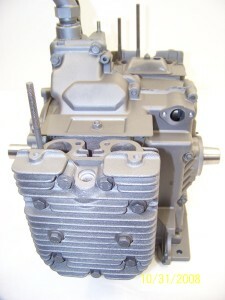 WE ARE A PROFESSIONAL ENGINE REBUILDER SUPPLYING OVER 400 ENGINES IN THE USA AND CANADA LAST YEAR ALONE! WE HAVE BEEN AT THE SAME LOCATION FOR 31 YEARS PROVIDING TOP QUALITY REBUILDS FOR THOUSANDS OF CUSTOMERS. 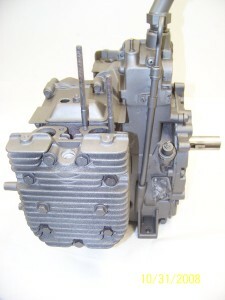 OVER THE YEARS WE HAVE DEVELOPED MANY UNIQUE TECHNIQUES ON SOME ENGINES FOR PROVIDING A BETTER THAN NEW ENGINE. THIS IS ONE OF THOSE ENGINES. 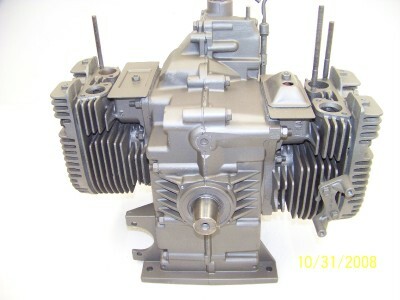 KOHLER MAGNUM 18 HORSEPOWER LONG BLOCK TOTALLY REMANUFACTURED TO BETTER THAN NEW SPECS. BLOCKS INCLUDES A COMPLETE SHORT BLOCK PLUS HEADS AND BREATHER. EACH BLOCK IS INSPECTED FOR DAMAGE OR CRACKS AND THEN WASHED. 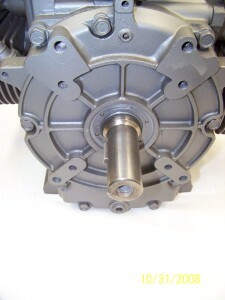 CYLINDERS ARE BORED OVERSIZE, CRANK ROD JOURNALS ARE TURNED AND POLISHED FOR PROPER FIT. 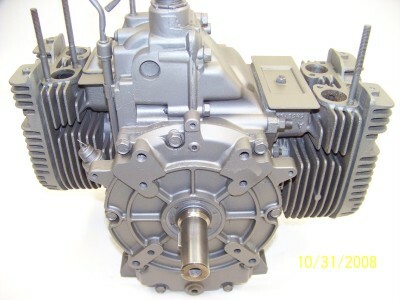 BLOCK HALVES ARE THEN RESURFACED AND OIL PUMP CHECKED OR REPLACED. GOVERNOR PIN IS REPAIRED FOR LONG ENGINE LIFE ( ELIMINATES THE MOST COMMON REASON FOR ENGINE FAILURE ). THEN VALVES SEATS AND GUIDES ARE REGROUND FOR GOOD SEAL. ALL ENGINES GET A NEW GOVERNOR GEAR INSTALLED, NEW PISTONS AND RINGS, RECONDITIONED RODS, AND GASKETS AND SEALS. THIS IS A VERY DIFFICULT ENGINE TO REBUILD PROPERLY BUT WE HAVE DONE OVER 600 IN THE PAST 15 YEARS WITH GOOD RESULTS. OUR CAM PIN REPAIR SOLVES THE PROBLEM OF THE GOVERNOR KNOCKING A HOLE THRU THE SIDE OF THE BLOCK AS MANY OF YOU HAVE FOUND OUT. 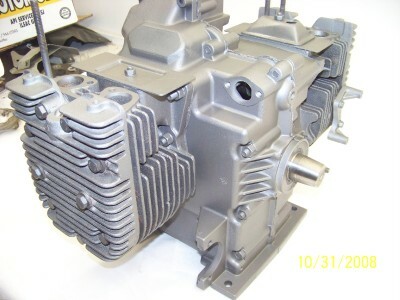 SINCE THIS IS ALL KOHLER OEM PARTS THE COST TO MACHINE THIS ENGINE AND BUY THE PARTS WOULD RUN ABOUT $1050 AT SHOP RATES AND YOU STILL HAVE TO ASSEMBLE. UPDATE ( We have had a number of people order a product other than what we know fits recently, and even after us telling them it wasn't right for their application they told us what to send. Then when engine didn't fit because they measured wrong, they claimed it was our fault. We (always write down what customer says to avoid a problem later). This is very costly to us by the time we return and build another so we have a new policy. 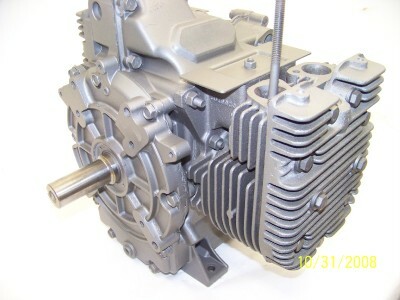 If you order a motor other than what is supposed to fit we will tell you and take order. We will send a paper detailing what you wanted and what should fit your tractor and it must be signed and returned. 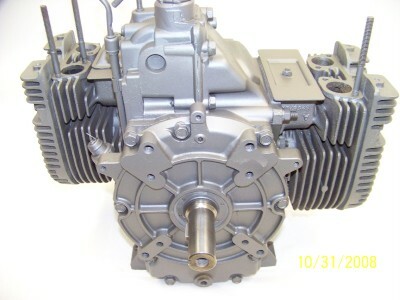 If engine is wrong fit when it gets there we will pickup, return to us , refund your money minus $230 for a twin and $150 for a single and you will have to find elsewhere.